Last Saturday Ian Siegal and Wilko Johnson were on stage at the Phoenix. I didn't know Siegal previously but he has been around for a while and is very well-regarded. Earlier this year he won the British Blues Vocalist Award. His website says that if Siegal been around in the sixties he would today be accorded the same reverence as artists such as Van Morrison, Joe Cocker and Eric Clapton and quotes Muddy Waters' son as saying that If my Daddy were alive today he'd say “That's my boy!". He looks like a cross between a young Mickey Rourke and a shorn Alan Davies. His material is original but seems authentic without being hackneyed or derivative. On Saturday he was playing with drummer and bass support. I've seen a lot of blues guitarists and most succumb to self indulgence but Siegal played a flawless well-paced set supported by a tight rhythm section and the crowd loved it. Ian is headlining the Torquay Blues Festival on 5th November - Get along there to see him playing solo. 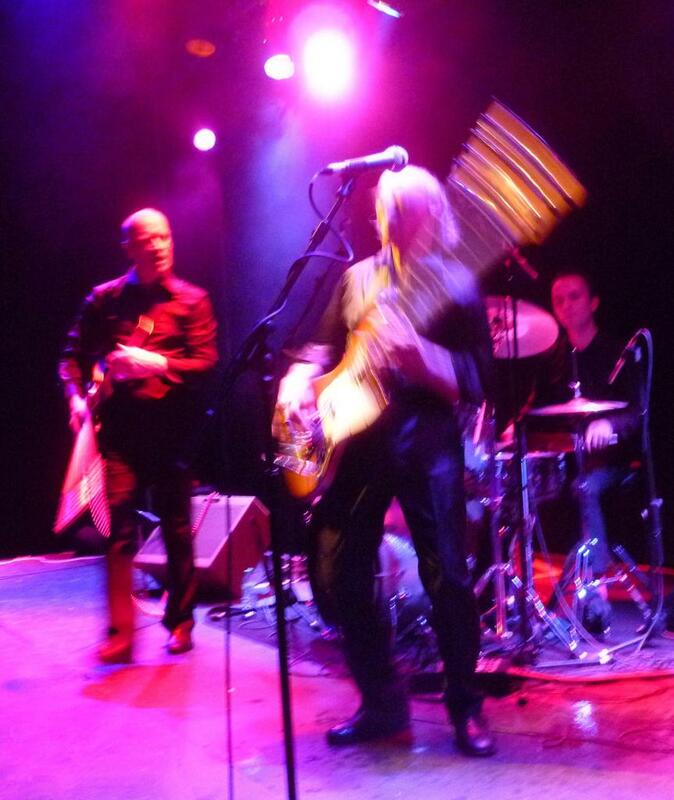 After Siegal, Wilko Johnson seemed a bit of an anticlimax at first but once he got going, we soon got the point. Wilko is not subtle - he is raw. The Feelgoods at their best (when Wilko was with them) were raw - Every bit as raw as punk and in many cases rawer. The award-winning documentary about the band, Oil City Confidential, explores their origins as a primitive pub-rock band in Canvey Island, up to the death of Lee Brilleaux, and beyond. Wilko looks much older now (it is 34 years later). Norman Watt-Roy, the bass player from the Blockheads, and Wilko together look like the Sopranos/Krays and are dressed in the all-black uniforms of your local coffee shop baristas. Watt-Roy is like a demented goblin frenetically plucking his bass in a puddle of his own sweat. Wilko still has that manic look of old and periodically storms back and forward, machine-gunning the audience with his guitar. His voice is not strong like Lee Brilleaux but it is effective enough.